Quattlefield Lane is a well-located community nestled in the heart of beautiful Amelia Island. Featuring 9 home sites, just minutes from 13 miles of white sandy beaches and the historic Village of Fernandina. You will enjoy charming shops, entertainment and the many joys of yachting, biking, walking or just enjoying a day of total relaxation at the beach. Our new homes on Amelia Island also offer gourmet dining at its finest, spectacular hotels and 117 holes of world-class golf, designed to suit any game. If you are considering a vacation home, Quattlefield is only a 20-minute drive from Jacksonville International Airport. When you decide that it is time for a new home in Amelia Island, FL, allow Artisan Homes to guide you through our seamless and worry-free process of creating the home of your dreams. Our team of designers and experts with over 75 years of combined home construction experience is here to ensure that you get the home you deserve while providing quality craftsmanship, attention to detail and customer service that stands alone in our industry. 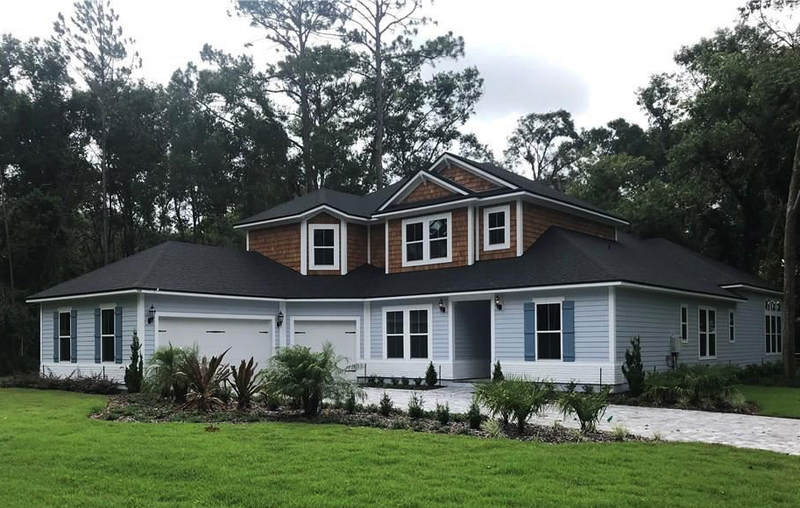 With countless new homes built in Duval County and the surrounding areas, you can trust in our experience and expertise to provide you with a process you can count on. When selecting a company to assist you in acquiring a new home in Amelia Island, FL, there are several factors that you should consider. First, the reputation of the company you choose should be long-standing with satisfied customers from all the projects that the company undertakes. With our Amelia Island home builder group and an extensive track record, you can rely on Artisan Homes to deliver you a home that you will enjoy living in from day one. Quality of construction and attention to detail are other attributes that should not be overlooked either. We pride ourselves in using high-quality material and contractors that have a track record of success when constructing new homes in Amelia Island, FL. Our gallery of new homes and a record of achievement in past projects speaks for itself. Our flagship community on Amelia Island, Anglers Cove, is filled with satisfied homeowners who went through our customized process to ensure an impeccable experience when constructing a new home. Our process consists of 6 steps, each designed to allow you the flexibility and attention to detail that you deserve. We start by having an initial personalized meeting at our Design Studio and follow it up with a plan-review meeting to finalize your decisions prior to acquiring permits. We then triple check your decisions with a pre-construction meeting prior to breaking ground on your Amelia Island new home construction. Once the framing has been completed we then have a walkthrough of the structure that we call a pre-drywall meeting where we confirm the decisions you made on the interior aesthetics. Once the construction has been completed we have a home orientation meeting to walk you through the finished product and ensure customer contentment. Finally, we get to closing where you sign the dotted line and take possession of your brand new Amelia Island home!